Already discontinued as Chrysler tries to turn around its business, the 2008 Chrysler Pacifica could be a strong bargain in the showrooms. 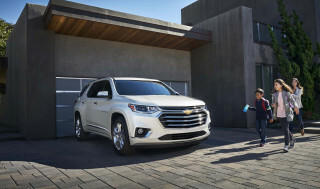 If minivans turn you off, it's worth a drive--but make sure to also sample GM's superior crossovers like the Buick Enclave, as well as the good-looking Mazda CX-9. The 2008 Chrysler Pacifica isn't long for this world, but still offers good interior seating and flexibility. 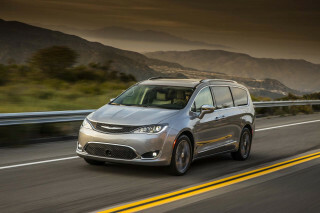 The resident car enthusiasts at TheCarConnection.com researched a wide range of road tests from around the Web and compiled those opinions in this conclusive review of the 2008 Chrysler Pacifica. TheCarConnection.com's editors also drove the 2008 Pacifica and have added driving impressions and observations where needed, to help you understand the basic features of the Pacifica and to help you decide if it's the right car for you. The Chrysler Pacifica pioneered the large crossover segment among American car companies -- but it's getting the axe after the 2008 model year. A six-passenger vehicle derived from Chrysler's last-generation minivans, the 2008 Chrysler Pacifica still has its virtues. Mostly, they center on its roomy interior. 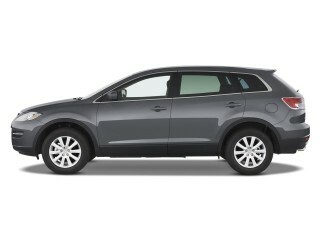 Those six seats are comfortable and offer plenty of surrounding leg and head room. The driver seat has 10-way power adjustment; the second and third-row seats fold flat to create a huge cargo area. Outside and in, the Chrysler Pacifica is a good-looking machine from many angles, but it's a little squat compared to the newest crossovers from Buick and Mazda. It has front-hinged doors, not the sliding doors of a minivan, so it's not quite as easy to clamber in and out as in, say, a Chrysler Town & Country. The interior has better finishes than the newest Chryslers, but it's beginning to look its age, too. Chrysler's six-passenger crossover wagon received a new 4.0-liter V-6 rated at 253 horsepower last year; the base front-wheel-drive versions still get a smaller 3.8-liter, 200-horsepower V-6. The new 4.0-liter engine replaces the previous 3.5-liter engine and is teamed with a six-speed automatic. (Base V-6 versions get a four-speed automatic with AutoStick manual shift function.) We like the new transmission but both V-6s have a case of the groans. Fuel economy is 14/22 mpg with the bigger engine, while Buick's Enclave gets 16/22 mpg with a better-sounding engine and an extra seat inside. Front- and all-wheel-drive versions are offered. The Pacifica's long, low, and wide package gives it a solid grip on the road with either. The suspension soaks up the road bumps, yet the driver maintains a clear sense of road feel. Side air curtains and stability control are standard equipment on all models; a knee-blocker airbag is also standard, as is dual-zone air conditioning. Safety ratings for the 2008 Chrysler Pacifica are five stars for front and side impacts. A rear back-up camera system is optional on Touring and Limited models, and a larger, eight-inch video screen has been incorporated into the available rear seat entertainment system. Heated seats, DVD navigation, and a premium Infinity Intermezzo surround sound with eight speakers and subwoofer are on the options list, along with Bluetooth. The 2008 Chrysler Pacifica is a good example of the first generation of crossover vehicles: handsome, but not as suave as the newest in its class. Most reviewers agree that the 2008 Chrysler Pacifica is a good-looking vehicle, but one that’s starting to seem a little stale. 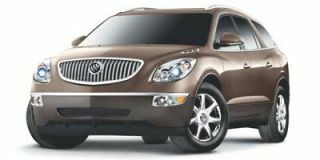 The Pacifica, Chrysler's first crossover vehicle, is "stylish and handsome" according to MyRide.com. They also note that the Chrysler Pacifica "doesn't fit easily in any particular mold." Those who seek a minivan are impressed by its "ease of use, layout and features" while those seeking an SUV will appreciate the car's style most of all. The Pacifica "has a more rugged, appealing (and less socially branding) appearance than most minivans." In blurring these lines, the Chrysler Pacifica has succeeded, according to Edmunds.com, in appealing to a vast variety of customers. Those who seek a wagon, a minivan, or a sport-utility vehicle could find merit in the Pacifica's overall appearance. This 2008 Chrysler is also more "stylish" and has "better-handling" than the "typical people mover" and still manages to have room for six passengers. 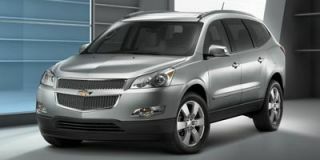 TheCarConnection.com's experts like the Pacifica for its overall shape. 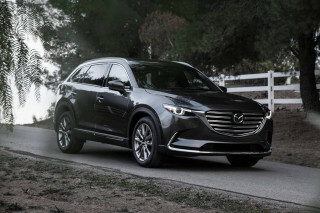 The lower height, though, looks a little awkward from some angles, especially when compared to a regular minivan or one of the sleek new crossovers from GM, such as the Buick Enclave. The interior has a better shape and execution than the most recent Chryslers, but is showing some age. The 2008 Chrysler Pacifica won't woo the die-hard SUVers, nor will it sway minivan aficionados. But those without a specific vehicle preference may find the good looks of the Chrysler Pacifica hard to ignore. Even though the Chrysler Pacifica was one of the first in the crossover realm, there are other options that provide more energetic pickup and greater passing power without fully entering SUV territory. Even though most reviewers agree that the 2008 Chrysler Pacifica is a solid vehicle, there are better options out there that more fully live up to the "crossover" title. According to Cars.com, "solidity and stability have always been Pacifica hallmarks." This year, the Chrysler Pacifica received a new 4.0-liter V-6 rated at 253 horsepower; the base front-wheel-drive versions still get a smaller 3.8-liter, 200-horsepower V-6. The base engine and its "four-speed automatic" don’t make for thrilling performance in the Pacifica, which "tips the scales in SUV territory." To be brief, "it came up short in the passing lane." Other reviewers were generally positive. 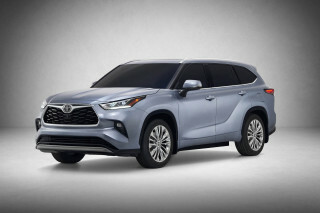 The "the carlike handling from its Mercedes-Benz-sourced suspension inspires more confidence than typical minivans and truck-based sport-utilities," reports Edmunds.com, which also noted that the "steering feedback is solid and precise." However, handling over bumps tended to be a bit lackluster. 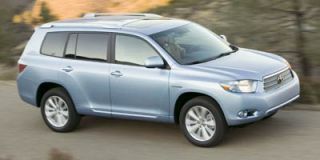 Mileage was also just a tad "worse than large crossover SUVs like the Saturn Outlook and Mazda CX-9." All weather conditions fared well for testers. Those at MyRide.com attested to the "confident handling in the dry weather of California's wine country, swooping into curves with the accelerator floored." But it also made "quick work" of the snowy weather in the Midwest. To navigate through frosty conditions, "all a driver has to do is a keep a light, steady foot on the gas pedal." MyRide.com additionally notes that the all-wheel drive "take[s] care of the rest" by "sending power to the tires that are gripping best." All in all, the 2008 Chrysler Pacifica performed well, but it lacks pickup, and gas mileage may be an issue for some. 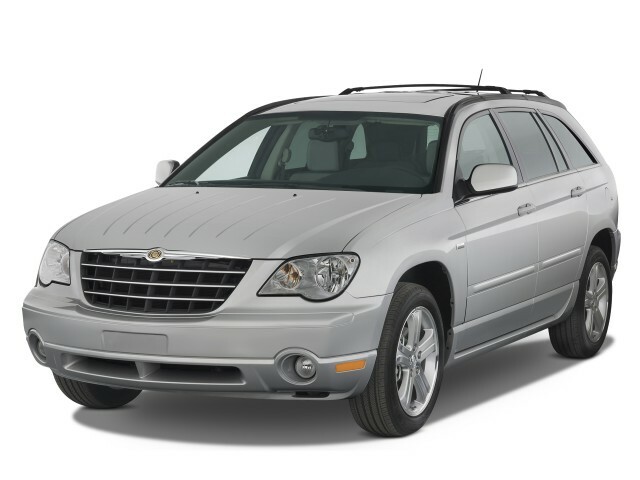 TheCarConnection.com's experts felt that the 2008 Chrysler Pacifica made for a stable ride that provided the feel of an SUV, but with some occasional harshness. Even though some of the fittings were less than perfect, the 2008 Chrysler Pacifica is generally on the up and up. While the overwhelming majority of reviewers felt the 2008 Chrysler Pacifica made for a comfortable ride, a few complaints--particularly involving body roll and bounciness--stand out. The Chrysler Pacifica is quite roomy, providing "first-class travel," according to Car and Driver. The 2008 Chrysler Pacifica is wider than the Chrysler minivan, has four "conventional" doors, and merges the sedan and minivan. However, this merging has come at the cost of some of the interior space normally associated with vehicles of this type: "tight legroom in the third row means it is best used for small children only," Edmunds warns. Kelley Blue Book raved about the Pacifica's interior, noting that "plastic trim has been kept to a minimum, and what plastic there is has a rich, high-quality feel." However, Cars.com does not agree, having had serious problems with the vehicle's "build quality." "Gaps in the dashboard panels, center storage bin and door locks" stood out like a sore thumb to the Cars.com reviewers, who noted that such obvious design flaws are "not what you want in a car that costs 35 large." But they were not down on all of the 2008 Chrysler model's quality. In fact, the "electroluminescent gauges and door-mounted seat controls [felt] genuinely upscale" and the "simulated wood and aluminum trim" were found to be "inoffensive." TheCarConnection.com sees the 2008 Chrysler Pacifica as an overall quality success. And where it lacks in roominess, i.e., that pesky third row, it makes up for in high-class comfort. The 2008 Chrysler Pacifica is a vehicle so well-equipped with safety features, you can feel confident toting the kids around in it. When it comes to safety, the 2008 Chrysler Pacifica is tops, scoring consistently high on crash tests and providing drivers with the security they deserve and desire. With intuitive safety features, the Chrysler Pacifica includes side curtain airbags, a driver-side knee airbag, and anti-lock brakes with brake assist, according to Edmunds.com. It is no wonder then that this 2008 Chrysler performed well in both frontal and side-impact crash tests, scoring five stars. Likewise, the Institute for Highway Safety gave an earlier model of the Pacifica a rating of "good for frontal-offset crash protection." For additional safety, a rear backup camera is available. High marks on crash test ratings and a confident handling experience put this one on the top of the list. There are plenty of a features to satisfy everyone in the family, but if you're unhappy with other aspects of the 2008 Chrysler Pacifica, you can find these features elsewhere. The 2008 Chrysler Pacifica is filled with features and options sure to keep even the most gadget-happy consumer enchanted. Reviewers agreed that the Pacifica excels in providing numerous standard features even on base models. MyRide.com liked the climate controls, "especially the automatic system, which includes Auto Hi and Auto Lo options," making for a comfortable environment at all times. They also appreciated the analog clock and the ease with which the time could be read. Another nifty feature is the ability to "program convenience functions such as auto-locking, auto-headlights, lock notifications (horn, lights, nothing), door lighting and so on to tailor the car to particular tastes." This puts a great deal of customizability in the car owner's hands. MyRide.com notes the fact that other cars "require a trip to the dealer to reprogram these settings," which really adds a touch of convenience to this 2008 Chrysler model. Edmunds.com called the Chrysler Pacifica "a relatively upscale, well-appointed choice." Heated seats, DVD navigation, and a premium Infinity Intermezzo surround sound with eight speakers and subwoofer are on the options list for the 2008 Chrysler Pacifica, along with Bluetooth and a DVD entertainment system. Kelley Blue Book is not as quick to jump on the Pacifica bandwagon, however, noting the model "seems like a good idea" but only "on paper." They admit the 2008 Chrysler comes with a "long list of standard features and optional all-wheel drive," but if you don't absolutely need that third-row seat, you should look to the Dodge Magnum, "which offers the same roomy wagon-like interior but delivers better performance and more eye-catching styling." Even so, the multifunctional Chrysler Pacifica is a good choice for those who like the versatility of a crossover vehicle. Love my 2008 Pacifica Limited! Of all the cars I've owned in the last 40 years this 2008 Pacifica Limited has been my favorite. Glad Chrylser is bringing it back. to bad they stopped making the Pacifica, great all around suv.